This Code of Practice outlines the child safe and general standards adhered to by CASEO member organisations. Membership of CASEO is dependent on agreement with, and adherence to, these standards. 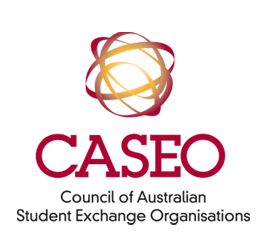 As registered providers of secondary school exchange programs in Australia, CASEO members maintain systems and procedures in which the protection of our students from abuse is paramount. Student Welfare and Support: Placing the welfare, support and duty of care to student participants as the primary priority in all aspects of their organisation's business and satisfying themselves that their overseas partners operate to the same standards. Host Family and Volunteer Screening: Fulfilling all recruitment, selection and screening of Australian host families and volunteers in accordance with state and territory government regulations, Working with Children, Child Protection and Prohibited Employment screening procedures. Satisfying themselves that their overseas partners carry out the same responsibilities in accordance with their applicable statutory requirements. Program Policies and Procedures: Maintaining up‐to‐date Program Policies and Procedures to ensure program staff and coordinators are well trained and resourced in the discharge of their responsibilities. Program Policies and Procedures will be well documented, updated on a regular basis and readily available to staff. Member organisations must establish clear expectations for appropriate behaviour with children. They are required to provide all staff and volunteers with clearly defined behavioural expectations and boundaries for personal interaction with children, both online and in a physical environment. CASEO Members will also have procedures in place for managing any reporting or breaches of that Code. Member organisations will supplement the recruitment of staff, volunteers and host families with additional tools such as reference checks, local support, training and orientations to manage and reduce the risk of child abuse. Member organisations will, in addition to their 24/7 emergency response system, ensure that all students, parents, hosts, volunteers, staff and overseas agencies have access to and are familiar with mechanisms for responding to allegations of suspected child abuse, and following mandatory reporting procedures. Having publicly available a clear statement of eligibility and selection criteria for student participants, host families and volunteers. Ensuring appropriate and up‐to‐date contractual arrangements are in place with all overseas partners. Contracts should refer to the existence of this code and the requirement on overseas partners to meet the required standards of child safety care and support. Member organisations will have simple and accessible processes available to student participants that will assist them to understand their rights and processes for reporting concerns regarding their safety. Member organisations will provide publicly available statements of: Terms and Conditions of Participation; Cancellation and Refund Policy; Program Fee Inclusions and Exclusions and Payment Timeline. Make a Grievance Procedure available to all student participants and a Complaints Policy and Procedure available to all students and their parents for handling complaints that may arise. Member organisations will comply with all regulatory requirements in the states and territories where they operate. Member organisations are responsible for compliance with this Code. The CASEO executive may respond, by peer review, to written complaints levelled against a CASEO member organisation for failure to comply with the Code. Member organisations indemnify CASEO and its members against all expenses, losses, damages and costs (on a full indemnity basis) incurred by or awarded against CASEO arising out of any claim by any person, in relation to any matter.